Operating at a state-of-the-art facility located in Northwest Arkansas, Oil Harvest LLC has developed a unique re-processing system to extract reusable yellow and brown grease from other unwanted waste material. As such, we are able to reclaim nearly 100% of all usable organic material while separating and containing the remaining waste material. Further adding to our focus on customer service is transparency in our pricing. The price we quote you is the price you will pay - period. There are never any hidden fees such as pumping fees, hook-up fees, discharge fees, or fuel surcharges. You get one quoted price for one full service. Additionally, in many cases, we allow our customers to share in the current commodity value of the used cooking oil reclaimed further reducing their operating costs. 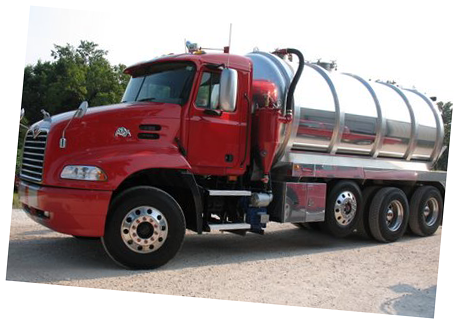 Both Bub's Inc and Oil Harvest LLC are committed to reducing the impact of liquid waste disposal on the environment. We work diligently to reclaim 100% of all usable oil/grease which can then be used in other applications, such as biodiesel fuel or feed supplements, as opposed to being land-applied or deposited in a landfill.We work closely with the Arkansas Department of Environmental Quality (ADEQ), the Arkansas Health Department, and the Missouri Department of Natural Resources to ensure that all waste is disposed of properly and responsibly.